This entry was posted on September 24, 2012 at 9:37 AM	and is filed under Local Transit Issues. Tagged: JCT, Johnson County. You can follow any responses to this entry through the RSS 2.0 feed. You can leave a response, or trackback from your own site. 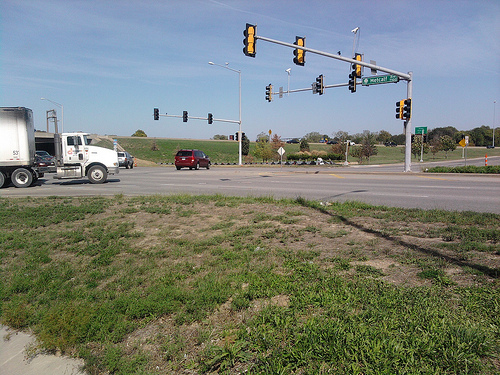 When I rode the JO to the Sprint Campus, there was a woman who got off at this intersection. I always thought it must feel like a daily game of Frogger for her to cross the street to work. So scary! Metcalf is neither transit nor pedestrian friendly. Doesn’t matter what time of day it is, it’s always busy. You’re correct about it being made only cars. I used to take the 75th street bus, and I’ve always tried to find ways to avoid crossing it. It’s just too dangerous.